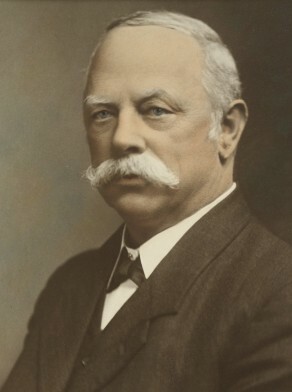 John Charles Waine was born in July 1851 in Aylesbury, Oxfordshire (or Northampton), England, son of Joseph Waine and his wife Emma, nee Winter. On 23 September 1879 in Sydney, he married Medora Lucy Margaret (1860-1940), the daughter of Captain Henry Chatfield and his wife Eleanor nee Galbraith (d.1901). They had four sons and a daughter. He died atRandwick on 19 April 1918. John Charles Waine came to Sydney as a steerage passenger at the age of 24. By 1885, he had set up business as a builder at 6 Penzance Terrace, Begg Street, Paddington. He became a prominent builder and his well known buildings included the NSW Lands Office and the Sydney Customs House. In 1895 he was at 336 Park Street. He had become a JP in 1905 when his residence was Bradley Street, Randwick. He revisited England several times, once as an executive member of the NSW Bowling Team in 1912. Waine was president of the South Sydney Cricket Club and the South Sydney Rugby Union Club. He was at one time patron of the Sydney Cricket Ground. He was a member of the City Bowling club, becoming President in 1908, and the Randwick Bowling Club. He was a life member of the Civic Club. He was also a Major in the St George’s Rifles. 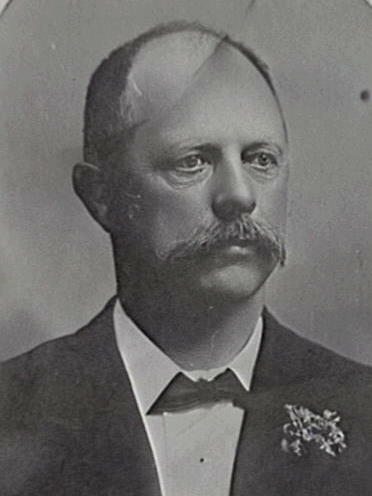 Waine was elected Alderman for Cook Ward, 1 December 1891 to 6 December 1900 and for Flinders Ward 1 December 1900 to 30 November 1904. He was a member of the Works Committee, 1899-1904 and its Vice Chairman in 1901. He belonged to the Electric Lighting Committee, 1899-1904, the Disposal of Refuse Committee, 1891-1900, the Specifications and Tenders Committee, 1891-93, the Street Traffic Committee in 1891, the Height of Buildings Committee in 1892, the Rates and Assessments Special Committee in 1898, the Health Committee, 1901-02, the Labour Advisory Committee in 1901 and the Staff and Labour Committee in 1902 and 1904.